I don’t know about you but there’s a solid list of things I’m not willing to do for my job, under any circumstances. If I’m a singer, high on that list would be becoming a castrato. Not willing to go that far to be the best. 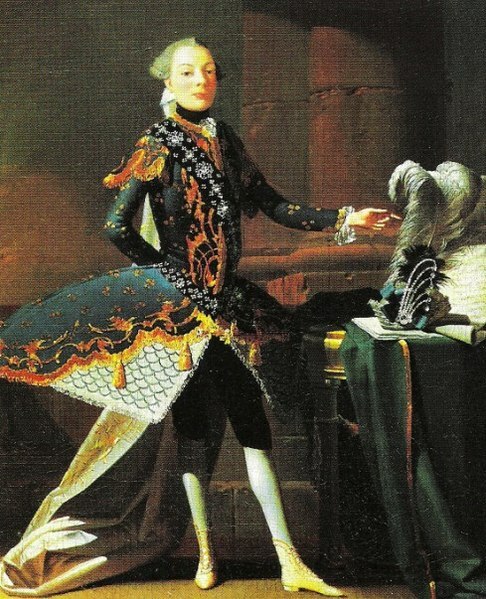 The castrati were a class of singers — read: young boys — who had their man-parts excised so as to ensure their voices stayed high post-puberty. Unsettled yet? Okay. Carlo Scalzi, a famous 18th century castrato. The way castrati singers were treated seems to fall somewhere between an OSHA violation and a scene from Saw. Nonetheless, composers were happy writing pieces that featured these anomalous-voiced singers, and audiences were completely effed up for enjoying this appreciative, too. Definitely crass and a bit inappropriate: acknowledged. Fast-forward to today when lightning strikes and countertenor Philippe Jaroussky realizes, Hey fools, why don’t we just sing falsetto instead? NPR’s Deceptive Cadence interviewed Jaroussky about performing music originally intended for castrati. And yes, he’s a normal, run-of-the-mill, fully-intact singer.